Anyway, as soon as I get a break from all the crisis at work, I promise to sort all the photos and stuff I got from Thailand. This quick post will just have to do for now. Cool florals on a cool girl. Evens out nicely, I'd say! :) This is hard-hitting style with such soft colors. I adore just about all of the outfit. Thanks! One of my favorite things as of the moment! The floral print is soo pretty! Me too! It makes me want to buy a lot more stuff in floral print! I love everything about this outfit! 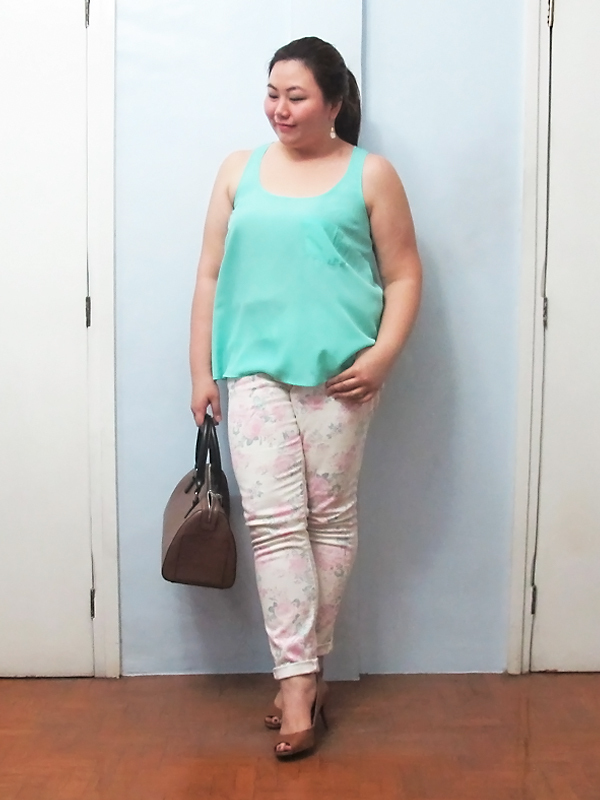 I am still looking for the perfect pair of floral skinnies for myself! You look fresh and beautiful! Cute outfit! I love the color of your shirt and your pants are lovely. 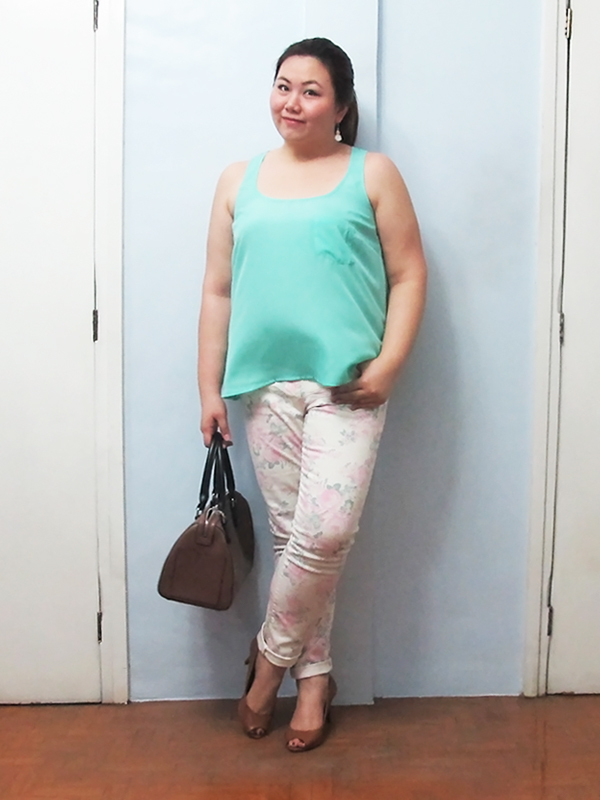 Love the floral jeans. You look so adorable! Love how you're working the tank. WERRRRRK! Maybe I'd have the guts to do the same one of these days. Love your pants! Very light colors! You look good in that type of green. Yes! 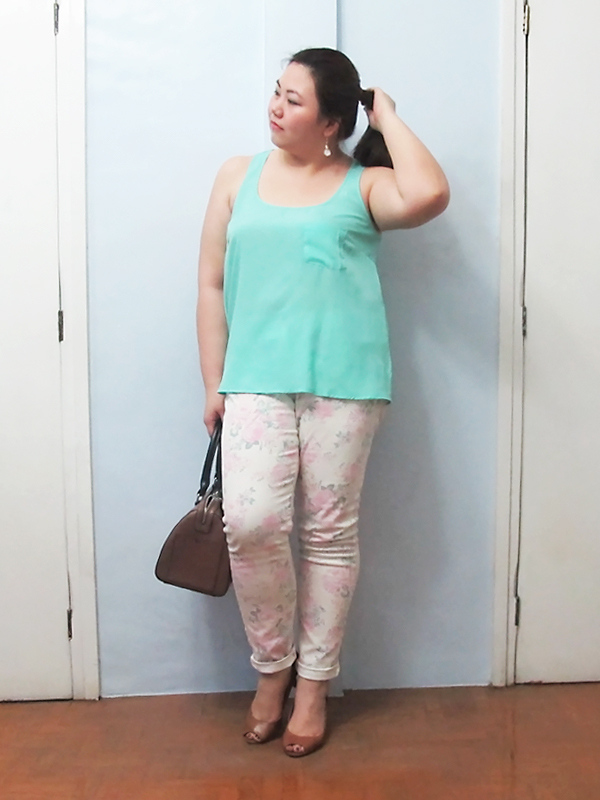 Pastel and floral is so pretty and refreshing!